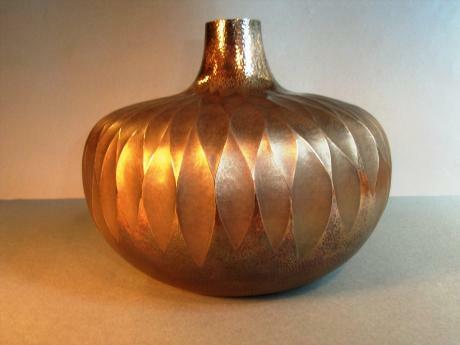 Japanese mid 20th century bronze vase made by master metal artist HASUDA SHUGORO (1915-2010). HASUDA graduated from Tokyo School of Fine Arts in 1938. He went on to exhibit in all the major show in Japan, including NITTEN, DENTOKOGEITEN, among others. The vase is made wide and low. It comes wit.. 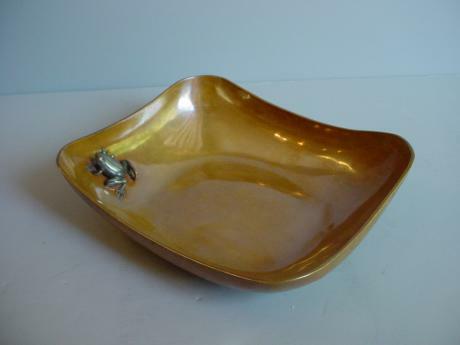 Bronze Tray with Gold inlay eyes Frog. Signed Kibundo at bottom. Tomobako(storage box) signed Shosen. 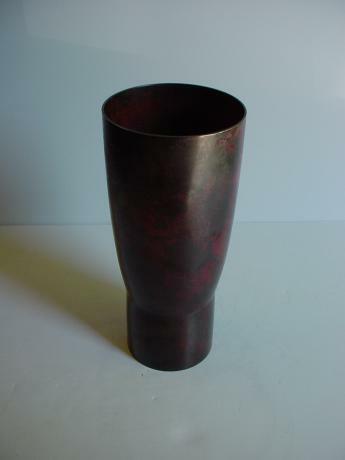 Japanese 20th century bronze vase. The vase is made in the shape of a stylized crane. No storage box. 12 1/2" tall by 3 1/2" wide at the round bottom. Japanese mid 20th century iron bud vase. Made by Japanese National Treasure, SEKIYA SHIRO, in 1963. Comes with TOMOBAKO, original artist's box. Stamped on bottom, S. Sekiya with the numbers 4 63. 9 1/4" tall by 3 1/4" wide at its widest. Japanese 20th century small bronze vase. 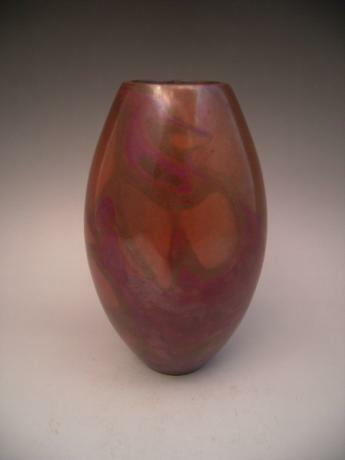 The vase is of bulbous form and has a beautifully colored finish to it. Unsigned. 6 3/8" tall by 3 3/4" wide at its widest. 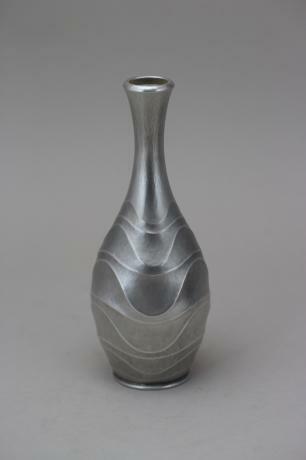 Japanese modern silver vase by artist, KOHNAN. Comes with original artist's box and marked, "Pure Silver, Kohnan" on the bottom. 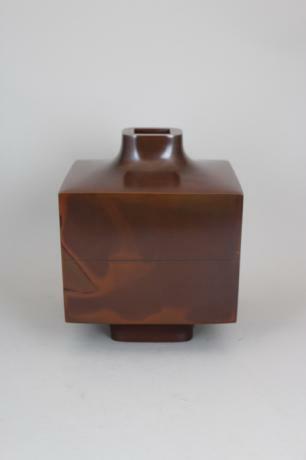 This vase was on exhibition in Japan in 1982. Comes with the certification of this. The base measures 8 1/2" tall by 9 3/4" wide. Pair of Japanese mid 20th century bronze vases. The vases are made in a trumpet shape. 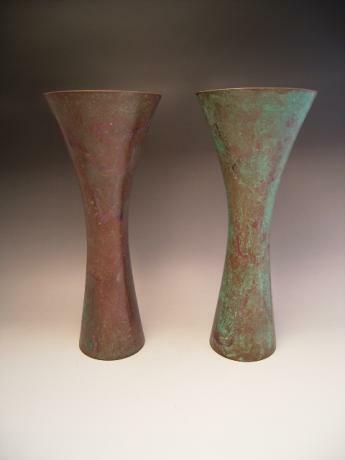 The patina of each vase is distinctly different. Unsigned. 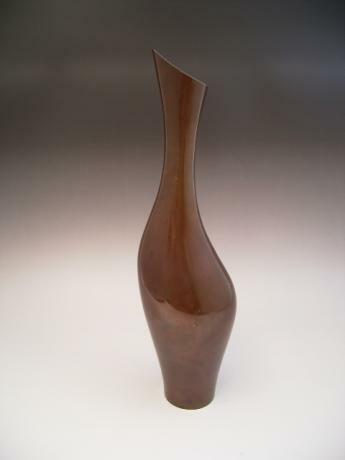 The vase measures 12" tall, 5" wide at the top and 3 3/8" wide at the bottom. 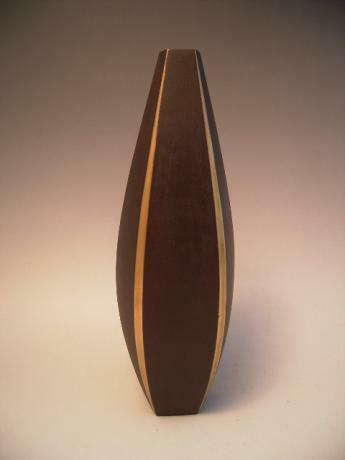 Bronze Vase, Murashi-do finish by Katori Masahiko (1900 - 1989) was a National Treasure. 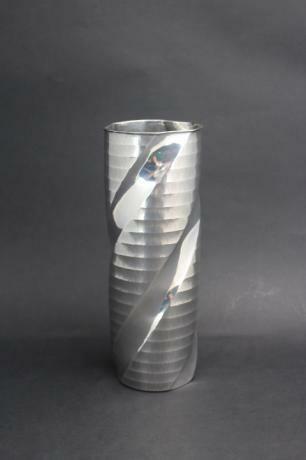 Japanese mid 20th century pure silver vase with horizontal and swirl design. Marked JUNGIN, or pure silver. The vase measures 10 1/4" tall and 3 1/4" in diameter.